Why is Council passionate about the Digital Innovation Challenge? We have led the way and put Coffs Harbour on the NBN map with our City set to be the most connected in 2015. Now is the time to foster and build the community of digital entrepreneurship in Coffs Harbour. We want to put Coffs Harbour on the digital start-up map in Australia. We want to be recognised as a burgeoning location for entrepreneurial businesses and innovative business solutions. We want to be considered a globally connected City where developers, programmers, digital creatives, IT geeks and game developers can come to LIVE LOVE COFFS. We want to inspire our local businesses to use the awesome talent we have in innovative ways for growth. We want to inspire our youth to dream of working in the digital economy and present it from a real world perspective. Mid North Coast Local Health District is proud to be supportin this initiative and encourage innovation in service delivery. Softlayer supports this challenge to provide the instant infrastructure needed to quickly launch and focus resources on coding, building, scaling and bringing innovations to market. 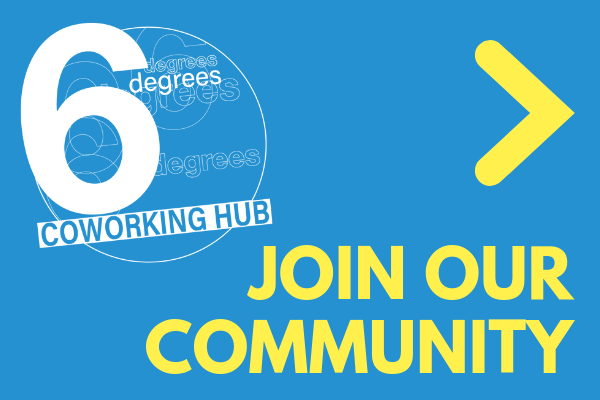 Six Degrees Coworking Hub membership comprises a number of digital creatives and start-up entrepreneurs and we want to see them flourish. The PITCH sessions on the first Tuesday of each month have proved very popular and a great way to spur people on, set new directions and connect with people who can make it happen. The Digital Innovation Challenge is the next logical step to put the money and support behind our local entrepreneurs. Coffs Harbour Chamber of Commerce is one of the leading business organisations on the North Coast of New South Wales and proudly has been the leading voice and the representing body for local business in the area since 1911. Coffs Harbour Innovation Centre attracts, selects and develops high potential new ventures with real prospects of growing and creating jobs in technology and knowledge based sectors on the Mid North Coast. Bellingen Shire Council has identified innovation for business as one of the key economic development priorities for the next 5 years. Nambucca Shire Council is proud to support this initiative and support it’s growing base of digital innovators reach their full business potential.